Yaay! It's time for another edition of The Scoop! This has been a very busy week here at the Plate Addict household! I participated in the 2013 Summer Showcase of Homes along with 25 other bloggers who opened up their homes for a virtual tour! But don't worry if you missed it...I have a round-up of all 26 homes with photo links on my blog here. Look for my home and Anita's lovely Cedar Hill Ranch, too! We will be joined by our guest hosts again in the fall. 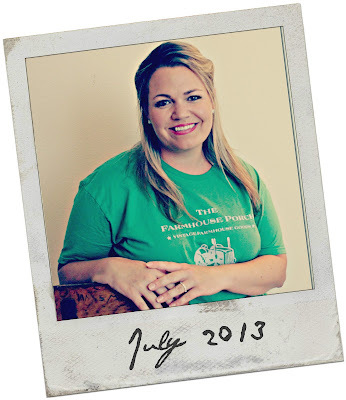 This week's features were chosen by Linsey from Farmhouse Porch . 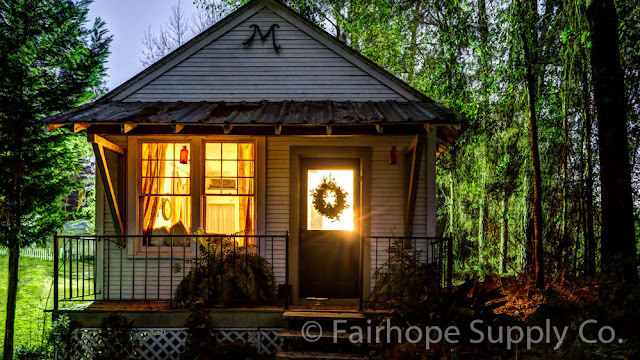 Linsey, who has an obsession for adorable guest cottages, loved this one by Fairhope Supply Co. Head on over to peek at the interior. And...you will never guess how this cottage was used when it was first built! 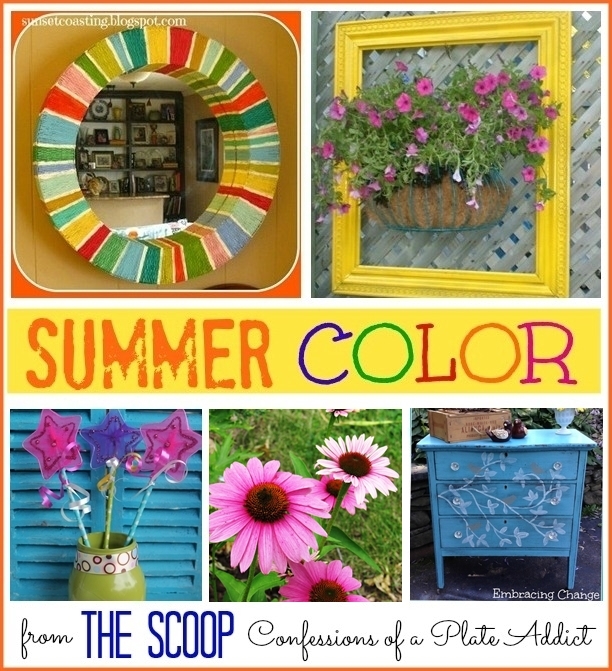 Lovin' this shabby, beachy cabinet-scape by Walnut & Vine! 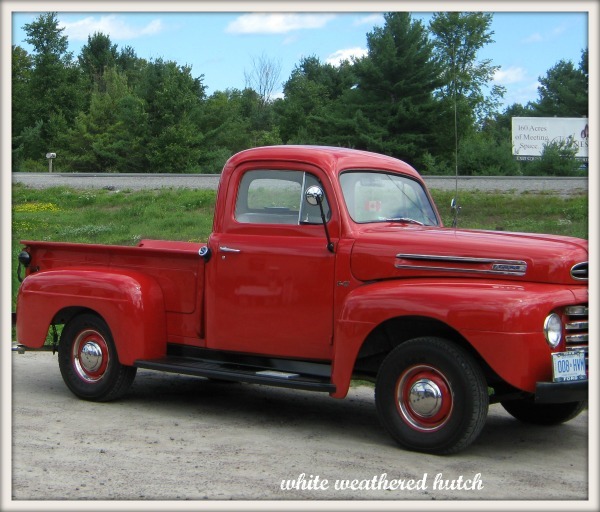 Don't you adore the little truck...her newest flea market find! Linsey says she has always wanted an old enamel bread bin and this blue one is lovely...shared by sweet Pernilla of Swedish Corner Down Under. You must go check out her blue enamelware collection! 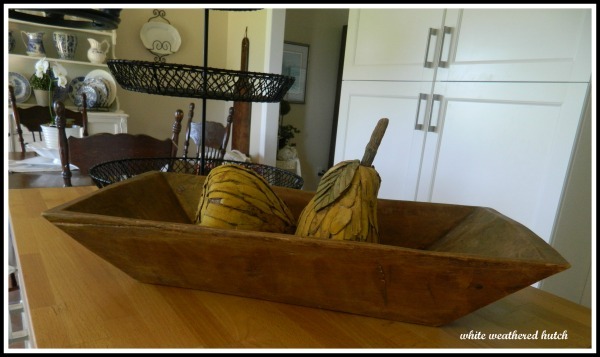 ...a fabulous vintage apple box that she found for a bargain price! Lovely! Paint and a few easy changes transformed this kitchen area into a clean, updated space by At the Farmhouse. Go check out the "before" because you will not believe the difference it made! 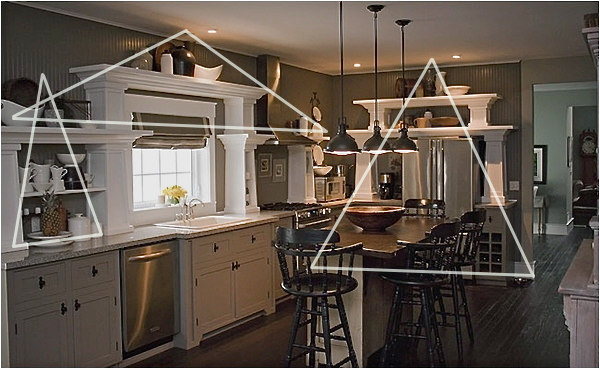 And finally...Cynthia Weber's explanation of the triangle design concept was very interesting and had us all looking for triangles in our vignettes! Thanks so much for hosting! It's always a pleasure to join the party! Wow, great features! Thank you for the terrific party, sweet ladies! Have a wonderful week. Thanx for a great party ladies! Hello Debbie, Thank you for another party. Thanks for letting me join in. Thanks so much for the shout out!! Fabulous features as always!! Thank you so much for the feature on the Telegraph Cottage. You always have a wonderful party!